Is Juice From Concentrate Good for You? Juicing provides one way to help you boost your daily fruit and vegetable intake, especially if you currently struggle to meet your intake goals. Freshly squeezed juices are a healthful addition to your diet; however, you should not consume all of your vegetables in the form of juice. Although there may be some advantages to juicing over eating whole vegetables, whole vegetables provide more nutritional value overall. 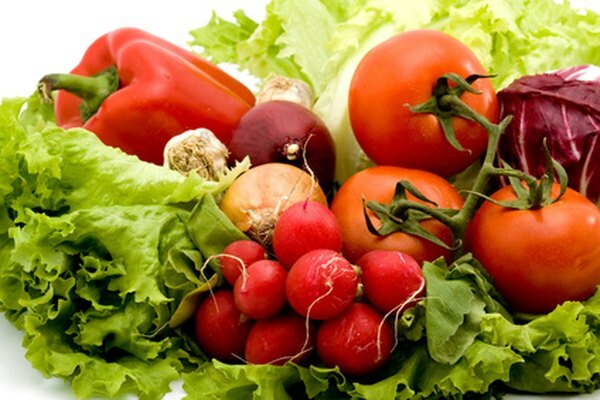 Both whole vegetables and juice provide you with a wide variety of essential vitamins and minerals. However, juicing removes most of the fiber from the vegetable, making juice a little less nutritious. Many people do not get enough fiber through their diets, which can increase your risk for high blood pressure, constipation, high blood sugar and becoming overweight. Adding some of the pulp back into the juice will provide you with at least a small amount of the fiber. Drinking 100 percent vegetable juice and eating whole vegetables is beneficial for your health, since both forms may lower your risk for conditions such as heart disease and cancer. However, don't be taken in by claims that fresh vegetable juice can cure cancer or provide superior health benefits over eating whole vegetables. Scientific evidence does not support this, according to the American Cancer Society. Sometimes it can be hard to fit in all of the recommended servings of vegetables during the day. Juicing can make this easier to do, since it allows you to quickly drink a number of vegetable servings. However, you should only make what you will drink in one sitting since otherwise there is a risk of bacteria developing in the remaining fresh juice. If you don't like eating whole vegetables, juice may be a better option since you can mix fruit and vegetable juices to find a combination you enjoy. However, keep in mind that a serving of juice has more calories than a serving of vegetables, so if you are watching your weight whole vegetables might be a better option for you. If you don't make your own juice, choose versions of prepared vegetable juices that are low in sodium and pasteurized. Go Ask Alice: Is Juice as Good As Whole Fruit?